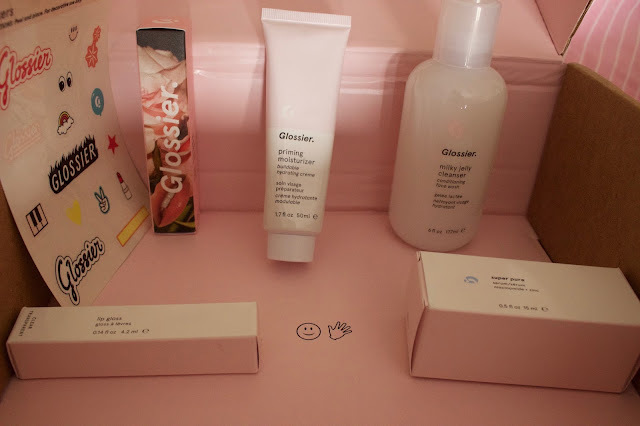 Miss Emma Charlotte: Glossier UK. This week has been a good one. I have just got back from an incredible trip to Milan, I've had some good news and the sun is shining. Last week my much anticipated Glossier order arrived. I can't tell you how long I have been wanting to try Glossier and it is probably a bit sad how much joy their packaging brings me. But I really wanted to know if what was inside those lovely bottles was equally as fantastic. Firstly, the Milky Jelly Cleanser lives up to all the hype and more. As an avid user of cleansing oils and balms this is a much less mucky way to strip of a days makeup. It leaves my skin super soft and I have had no reactions to it. The priming moisturiser is a great every day "slap on and go" product. It is no fuss and leaves no greasy residue. It isn't overly moisturising but I know they do a rich version of this product also. I also purchased the Super Pure Serum. I have had no breakouts since using it and it leaves my skin feeling super smooth. I want to try the other "super serums" as well as the body range. Now onto makeup. My favourite item is definitely the lipgloss. It is clear and non-sticky. I like to layer it on top of lipstick or wear it on its own. It feels super moisturising and is worth the splurge. I also ordered the Balm Dot Com. This is the item I have used the least. I don't dislike it I just haven't been reaching for it as much as the other products. I will admit that I have already made another order - the perfume. I'm hooked. 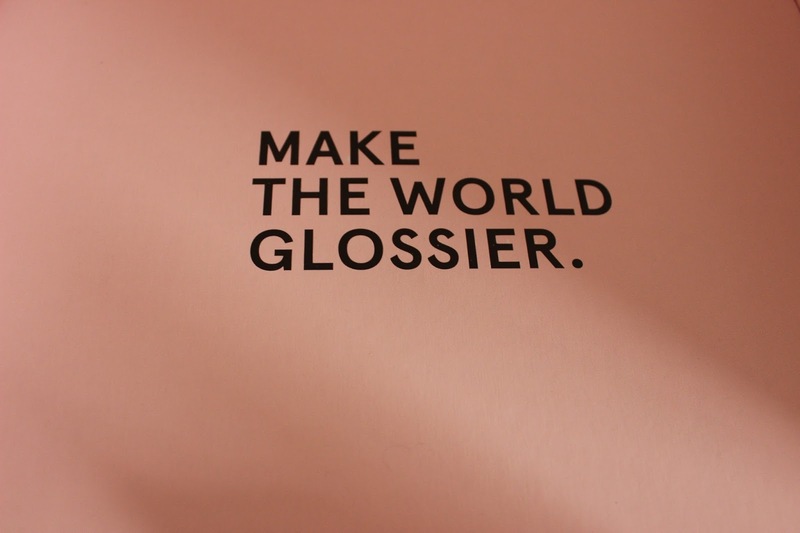 My world has been made Glossier and I'm not looking back. Have you made a Glossier order? What is on your wish list?